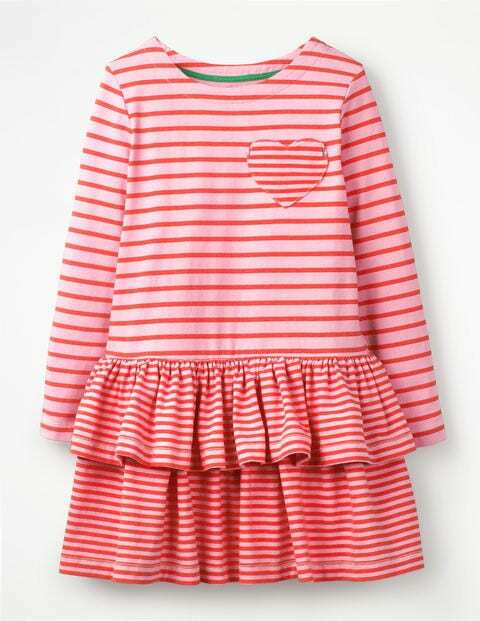 This playful dress is ready to stripe a pose. The heart patch pocket adds irresistible charm to the layered design, while the two-tiered skirt makes throwing shapes on the dance floor even more fun. The jersey fabric is perfect for everyday wear – so the multiple colour options will really come in handy.